Let’s have a closer look at all of them. Arnos Grove N11, N14 is the first area in the borough to which we would like to bring your attention. It lies 7.5 miles away from Charing Cross. Formerly part of Middlesex, the area grew around Arnos Park which to this day remains the focal point of the district. Locals have access to various top-quality services and amenities which is why they can easily hire a trained handyman in Arnos Grove N11, N14. Bowes Road is the main artery of the district, where one can find most of the public bodies, as well as shopping facilities and entertainment venues of note. 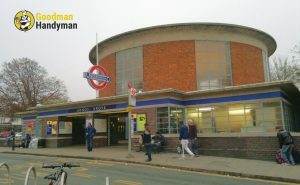 Arnos Grove is particularly well regarded in terms of the schools that are to be found here: St. Paul’s Church of England Primary, Broomfield School, Our Lady of the Lourdes Roman Catholic School and Garfield School. Chances are that if you happen upon the district of Botany Bay, you will also fall in love with it. And you will also be able to find a very nice, old house to move into almost immediately. 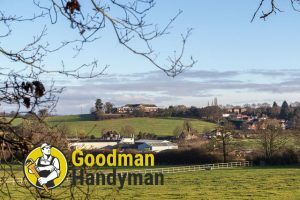 The thing is that even though EN2 remains more or less in the periphery of Greater London, there are still dependable handyman firms in Botany Bay that will help you gladly to keep the property in order. The former village bears a distinctly suburban feel and it is very well connected to the rest of the capital. Its name is a reference to Botany Bay in Australia and it is possible that it was chosen because of the relative remoteness of the village from other inhabited settlements in the vicinity. So, the peace and quiet here are definitely guaranteed. Another area that is very well serviced by licensed handymen, Brimsdown is part of the EN3 postal district in the London Borough of Enfield. The neighbourhood lies near the end of the Greater London Metropolitan area and considerable portions of it fall within the premises of the so-called Green Belt of London. It is a leafy suburb that has its origins in a small hamlet that was first recorded in the middle of the 15th century and came into particular prominence in the Victorian era when it was described as an integral part of the parish of Brimsdown. Transport links to Central London are comfortably accommodated by the Brimsdown railway station. In recent years the area has become a pretty popular filming location due to alleged poltergeist activity in the area. We encourage you to take a closer look at the area of Bull’s Cross EN2, EN3. Again, a relatively small former hamlet that is concentrated around the road of the same name, Bull’s Cross came recently in prominence because the popular football club Tottenham Hotspur decided to relocate their training facilities to town. The availability of trusted handyman services in Bull’s Cross EN2, EN3 is impressive. There are also several historic monuments, such as the 18th century Capel Manor, the Myddleton house and the Pied Bull pub, which are also going to catch your eye for sure if you happen to take a stroll through the district. The last district that we would like to bring your attention to is Crews Hill EN2. Like the other places that we have talked about, Crews Hill is located in some of the northernmost parts of Greater London and it is relatively small – which means that you can feel quite comfortable here if you do not like the hassle and stress of the big city. 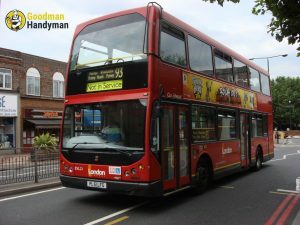 The area has a very closely knit community that consists of only 566 permanent residents who lucky enough to have access to top-notch handyman services in Crews Hill EN2.The district is being serviced by the Crews Hill railway station, as well as a single bus route.